Now more than ever, consumers are concerned with what they’re putting in and on their bodies. Consumers are beginning to pay attention to where their products are made, whether or not their products are sustainable, and if they recognize and can pronounce the names of the ingredients the products contain. 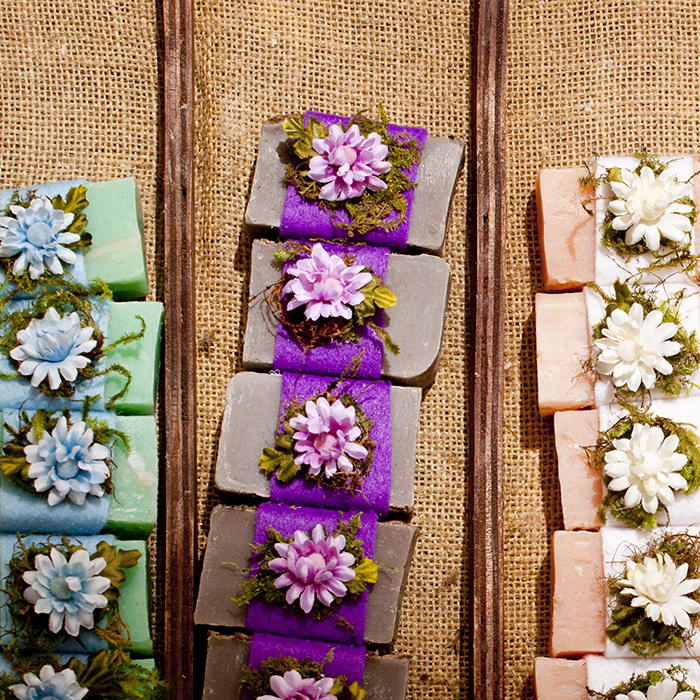 For the handcrafted soap and cosmetic industry, this is great! You are most likely already making products that meet these standards of eco-friendly commerce. So, is it ok to label your products as organic? How about Vegan? Fair trade? Someone who is vegan does not consume animal products in any way; not only do vegans not eat food that contains animal material, they also do not buy clothing or other products that are made using animal materials. To be clear, a product that claims to be vegan cannot contain any animal matter, no matter whether it was taken while the animal was alive or deceased-this means no milk, beeswax, tallow, and lanolin, to name a few items. If you would like to be able to market to vegan consumers, you must take a few things into consideration. First, is your product truly vegan? This might seem like a question with an obvious answer, but unfortunately there are a number of dishonest people who claim their product is vegan when it is truly not. Producing a vegan product is a great way to market to a rising number of consumers, but make sure that you are ready to formulate differently so that your product is truly vegan. It is possible to have your products vegan certified. Vegan.org will certify individual products as vegan after reviewing the ingredients list of the product and the manufacturing of the business. They will ask whether shared machinery is used to make the product-if you do use the same machinery to make all of your products, this is not a guaranteed disqualification, as long as you can prove that your machinery is being properly cleaned and sterilized between batches. Additionally, if you are making a product with sugar, it cannot be sugar that is refined using bone char, and proof must be supplied from the sugar supplier that confirms no animal products were used to create it. If you want to market a trustworthy vegan product, getting your individual products certified is the way to go-getting that mark will help your vegan customers feel more comfortable using your product. Organic products take several things into consideration; sustainability and ecological balance, use of pesticides and fertilizers, and the use of synthetic additives. The FDA does not regulate the use of the term organic when it comes to soap and cosmetics. The USDA does regulate the term organic however, and if your product contains agricultural ingredients, it may be eligible to be certified as organic by the USDA. Organic certification by the USDA extends even further than the ingredients you use; a USDA-accredited agent must certify you, your machinery, the handlers of your ingredients, and your manufacturing practices. This is not a short process and can be very complicated, but becoming certified organic is a good idea if you are going to make claims that your product is organic. The USDA states that, if you are not certified, you are forbidden from making claims on the principal display panel of your label about your product being organic, and you cannot use a certified organic seal. You are, however, allowed to identify certified organic ingredients along with their percentages on the informational panel of your products. Fair trade is defined as trade in which the producers of products in developing countries are paid a fair price for their work. Consumers are very conscious about where their products are coming from now, and it is up to you to make sure you’re doing your homework about where your ingredients come from. Many suppliers understand that fair trade is important, and they will list pertinent information clearly and plainly. If your supplier does not have this information readily available, make sure to follow up with them so that you know exactly where your ingredients are coming from. Knowing the background of your ingredients before you market them will help you make sure that you are making a responsible product, and it will also save you from having to reformulate in the future if a consumer questions an ingredient, and it turns out not to be fair trade. The era of consumer responsibility, and in turn, manufacturer responsibility, is not going away. Make sure that you’re doing your due diligence so that you are producing the best possible soaps and cosmetics-this diligence will set you apart and keep your customers loyal.